Hey! A game tie-in I'm familiar with! I don't play of course, but my son does, and I recognized this immediately. 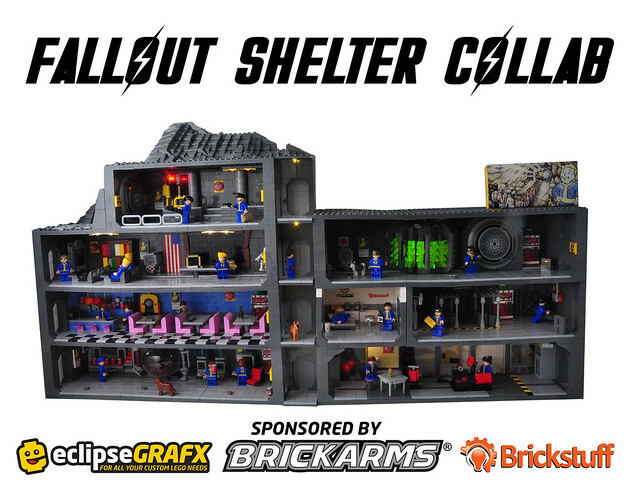 The fine folks at eclipseGRAFX, Brickarms and Brickstuff are all sponsoring a pretty cool collaborative build for Brickfair VA. They're inviting you to build a module for what should be a pretty epic Fallout shelter when it's assembled. The contest ends 12:00 am EST on August 1st, so you have about a month. Check out the rules and standards here and get building!